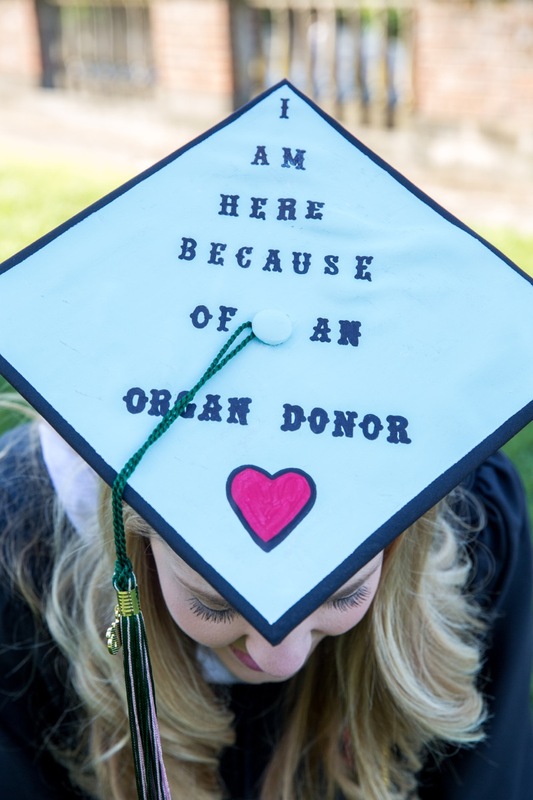 Few moments in your life will be as emotional as your college graduation. 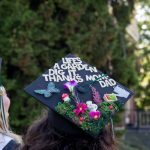 The culmination of four years of hard work and personal growth, it’s also a new beginning full of excitement and uncertainty. 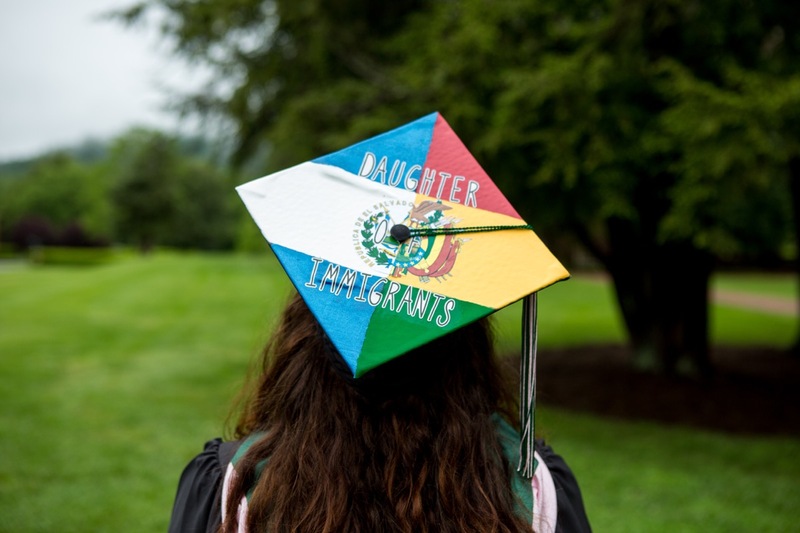 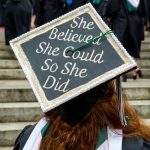 As we get ready for Sweet Briar College’s 109th Commencement tomorrow, here’s a look at some of our favorite moments and snapshots from the last few years. 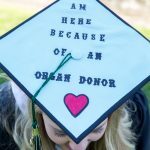 Get your tissues ready! 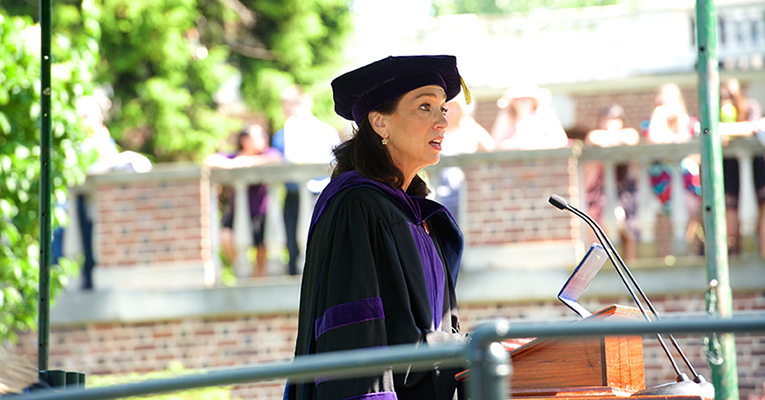 Teresa Tomlinson ’87 was the keynote speaker at Sweet Briar College’s 106th Commencement in May 2015. 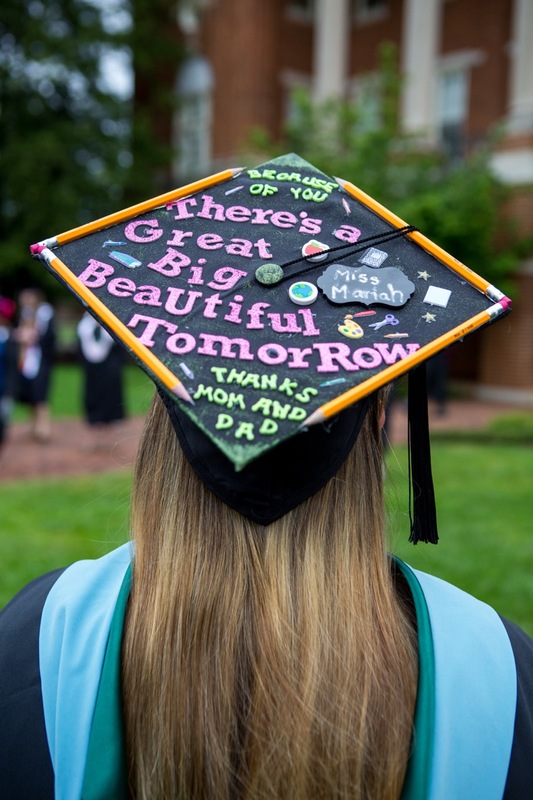 Tomlinson’s legendary 2015 speech inspired not only Sweet Briar graduates — it fueled and mobilized an entire army of alumnae, students, faculty, staff and friends. 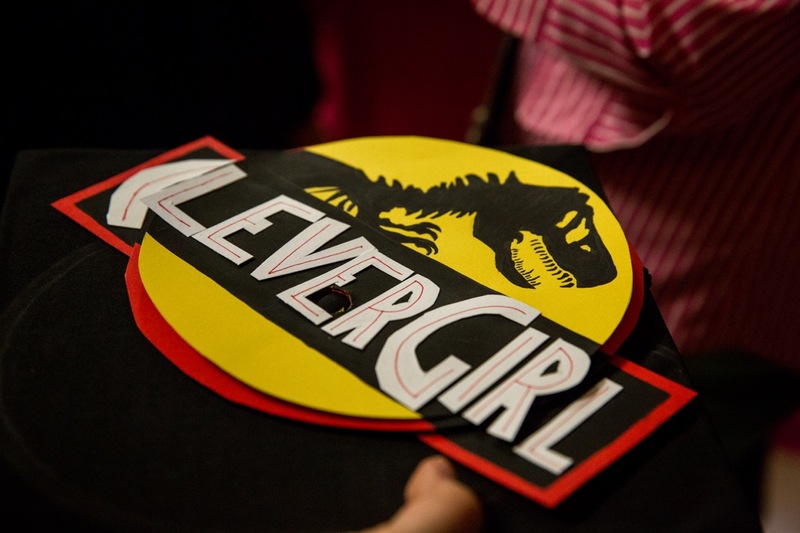 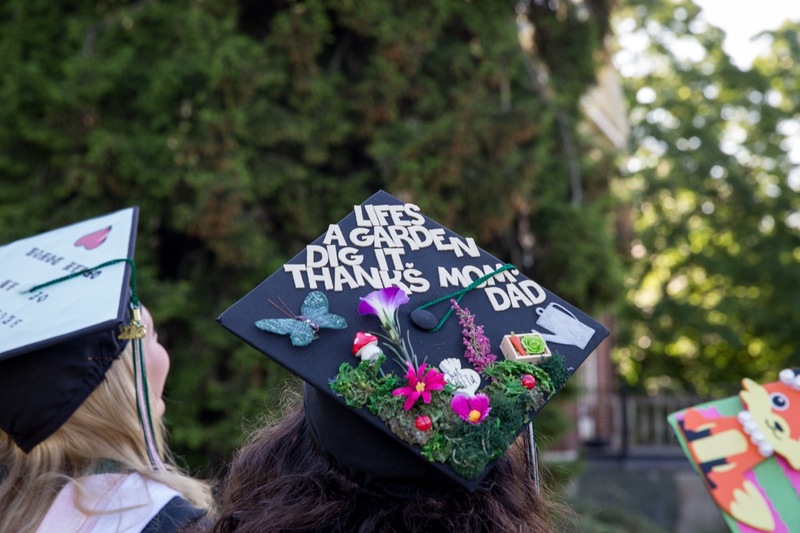 At a time when it seemed like the College might be closing, it was a battle cry like no other. 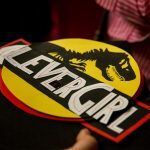 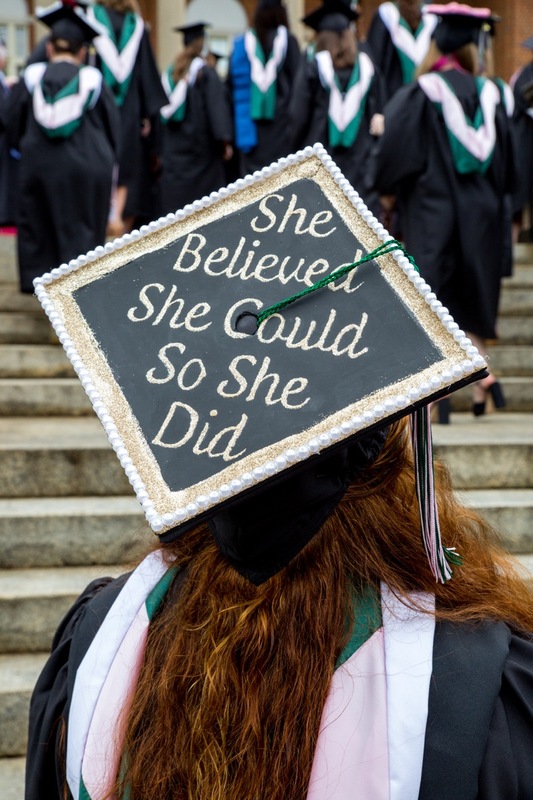 In the end, Saving Sweet Briar persevered in court, thanks to unprecedented fundraising efforts and an ingenious social media campaign amplified by thousands of alumnae. 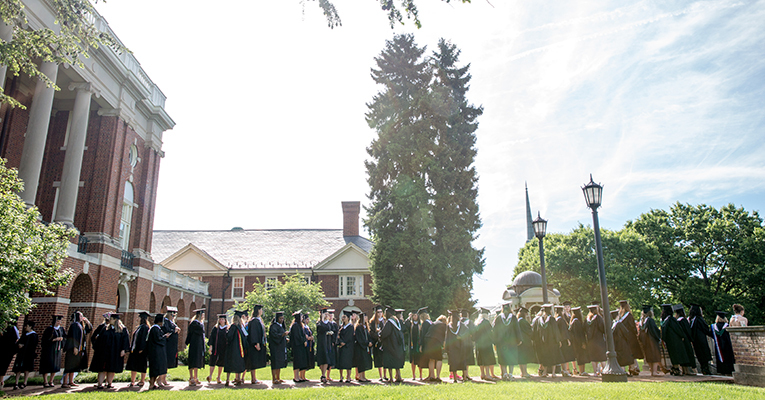 You can relive Sweet Briar’s 106th Commencement here. 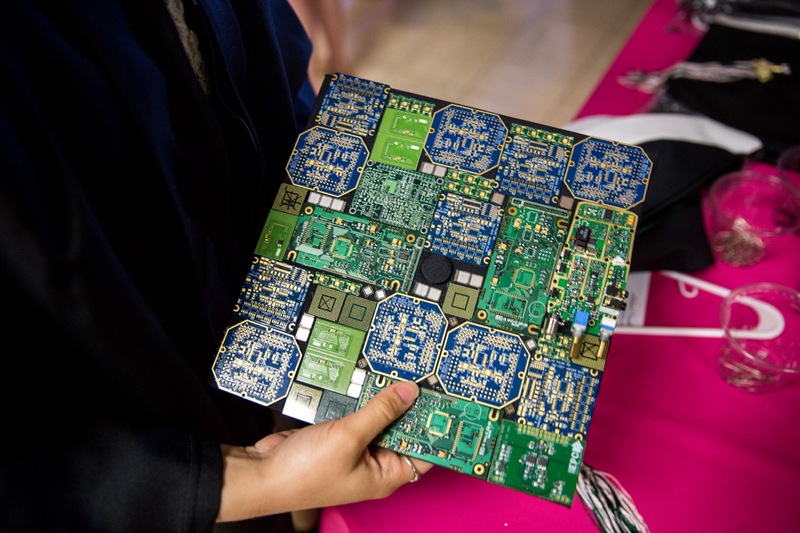 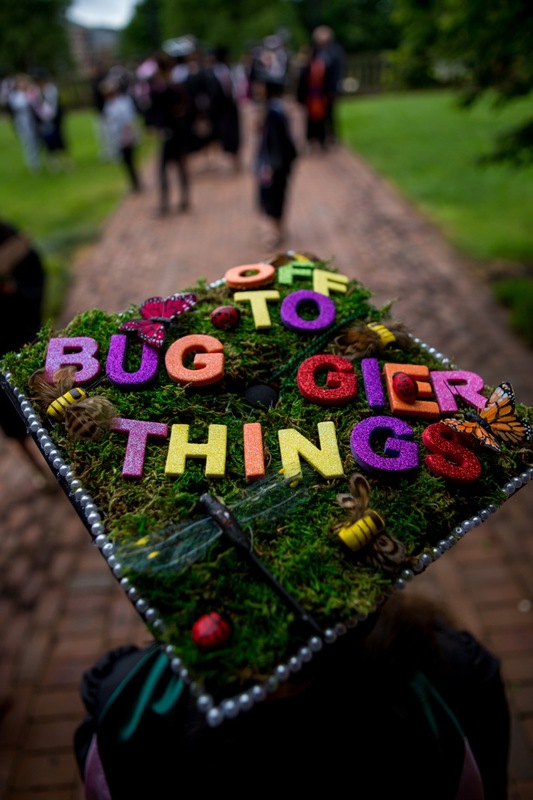 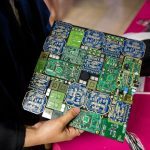 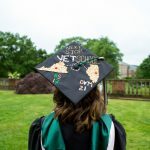 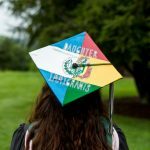 No two Sweet Briar students are alike, and we have an entire collection of graduation caps to prove it. 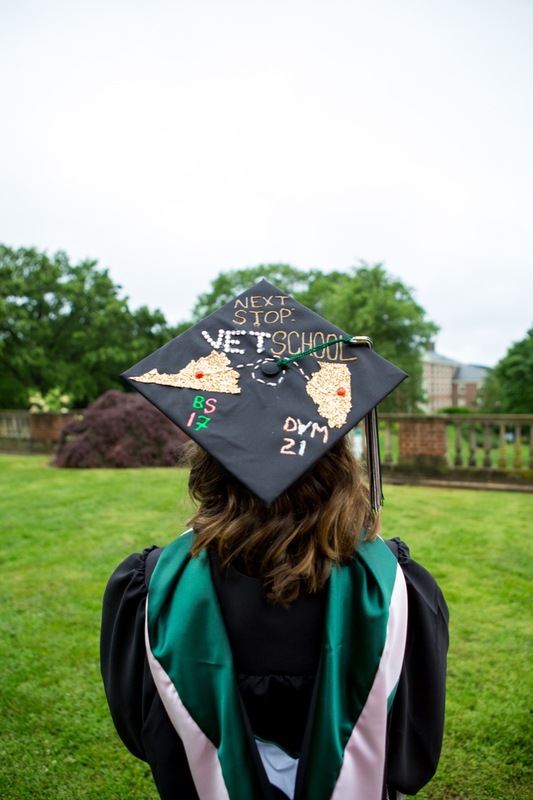 Many of our recent classes have decorated their hat toppers to celebrate the big day and show the world where they’re going next. 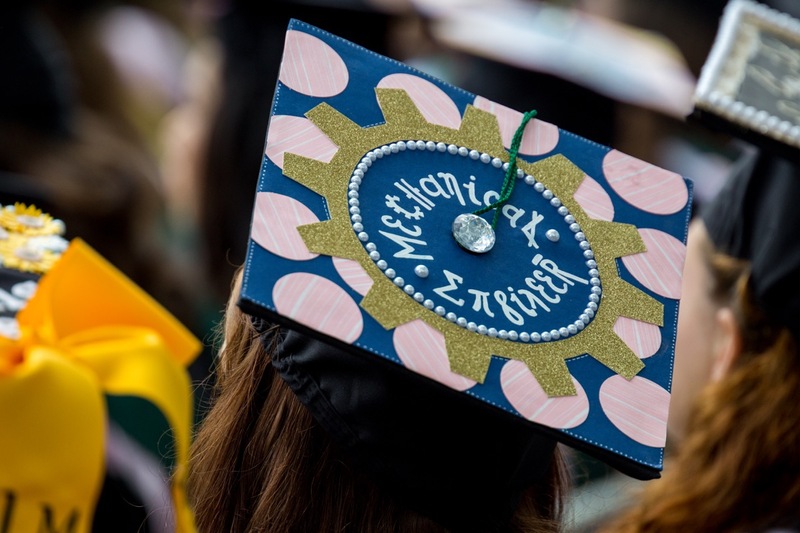 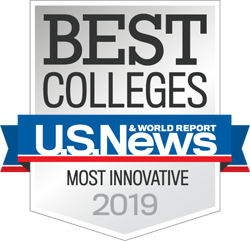 We can’t wait to see what the Class of 2018 has in store! 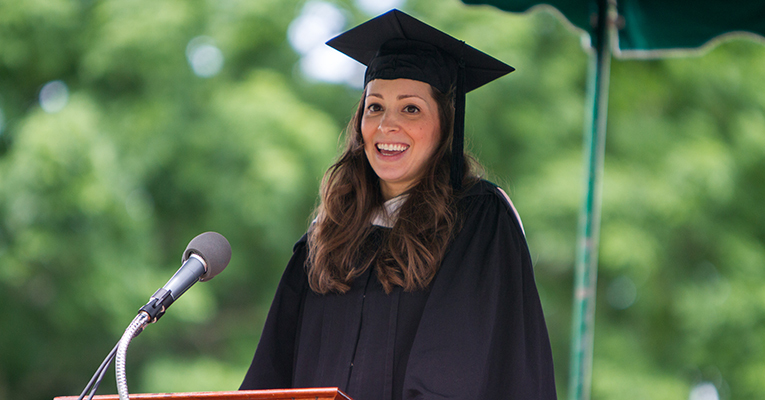 Leah Busque ’01 spoke at Sweet Briar‘s 107th Commencement in May 2016. 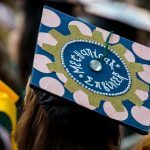 2017 graduates wait for the College’s 108th Commencement to start. 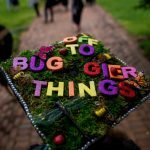 While the College’s commencement guidelines call for dark (and traditionally, closed) shoes to match one’s robe, it’s not a strictly enforced rule. 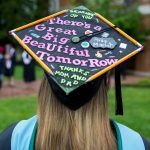 In fact, chances are you’ll see a colorful assortment of sandals, heels, sneakers and cowboy boots tomorrow! 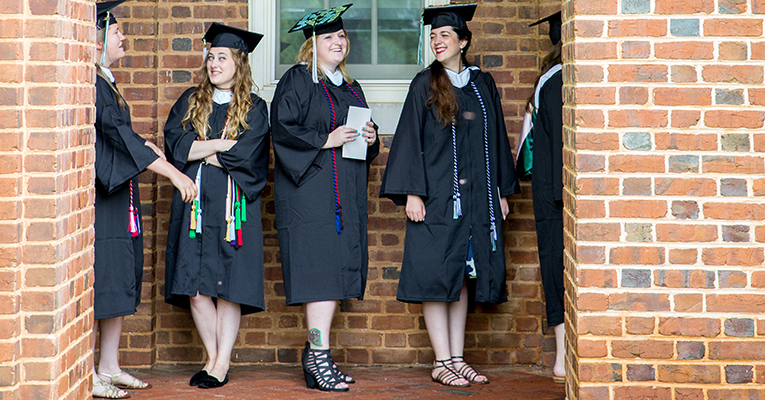 Sweet Briar women do what they want, and they do it in style.